A comprehensive analysis of the key issues of the Black Lives Matter movement, this thought-provoking and compelling anthology features essays by some of the nation's most influential and respected criminal justice experts and legal scholars. 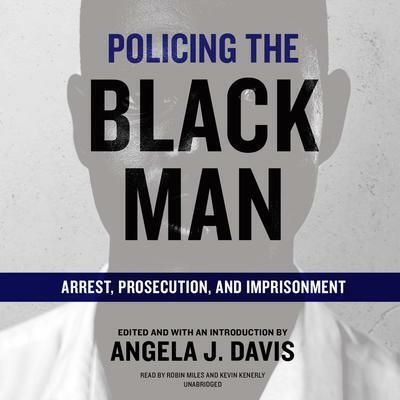 Contributing authors include Bryan Stevenson, director of the Equal Justice Initiative, NYU Law professor, and author of the New York Times bestseller Just Mercy; Sherrilyn Ifill, president and director-counsel of the NAACP Legal Defense Fund; Jeremy Travis, president of John Jay College of Criminal Justice; and many others.Policing the Black Man explores and critiques the many ways the criminal justice system impacts the lives of African American boys and men at every stage of the criminal process from arrest through sentencing. Essays range from an explication of the historical roots of racism in the criminal justice system to an examination of modern-day police killings of unarmed black men.The coauthors discuss and explain racial profiling, the power and discretion of police and prosecutors, the role of implicit bias, the racial impact of police and prosecutorial decisions, the disproportionate imprisonment of black men, the collateral consequences of mass incarceration, and the Supreme Court's failure to provide meaningful remedies for the injustices in the criminal justice system. Policing the Black Man is an enlightening listen for anyone interested in the critical issues of race and justice in America.